The 2019 Yamaha FZ Version 3.0 was first spied testing in October last year. The new bike’s styling is heavily inspired from that of the larger Yamaha FZ25. It will feature single-channel ABS in keeping with the new safety rules. Likely to carry a premium of Rs 10,000 over the current Version 2.0 model. After a long wait, Yamaha is finally set to take the wraps off the 2019 FZ Version 3.0 tomorrow. The bike has already started arriving at Yamaha dealerships around the country and bookings should begin after it’s officially launched. The new FZ gets several cosmetic and mechanical upgrades over the existing one. And although details of the bike’s engine are yet to be revealed, we do hope Yamaha has bumped up the power on the new FZ, especially given the competition has upped the ante. Spy pictures of the new FZ first surfaced in October last year, showing the bike with a revised design reminiscent of its larger sibling, the FZ25. The fuel tank on the new bike is beefier than before and gets FZ25-inspired shrouds. At the front, the split LED headlamp design is quite similar to the one found on the Yamaha M-Slaz. However, the turn indicators continue to use bulbs instead of LEDs. The test mules also sported a slightly raised handlebar, which indicates a more upright sitting position compared to the current bike. However, it remains to be seen if the rider triangle on the production bike has been changed. Moving towards the rear, the new FZ largely retains the outgoing model’s silhouette except for a stubbier exhaust. It also gets a single-piece seat and grab rail instead of the split units seen on the current generation FZ. That said, expect Yamaha to offer an engine cowl, a split seat and grab rail and multiple colour choices on the ‘S’ variant of the new FZ. Besides the muscular streetfighter design, a refined and bulletproof engine is a major reason for the FZ’s sustained popularity. So it won’t come as a surprise if Yamaha launches the new FZ with the proven 149cc, single-cylinder, air-cooled engine that churns out 13.2 PS of power and 12.8 Nm of torque. The unit comes mated to a 5-speed transmission and is known for the excellent low- and mid-range it offers. However, it’s the top-end where the current FZ struggles and it’d be a welcome move if Yamaha raises the stakes here with the new bike. In terms of underpinnings too, the current FZ offers a good balance of comfortable ride and agile handling. So the new FZ will use the same diamond frame suspended on telescopic forks and a monoshock at the rear. But among the most significant changes in the new bike will be the addition of ABS. Yamaha had debuted the rear-disc variant of the FZ last year and with the inclusion of ABS, the bike will become compliant with upcoming safety regulations that mandate compulsory ABS for all two-wheelers above 125cc. However, the ABS on the new FZ is likely to be a single-channel unit due to cost considerations. Other bikes in the segment like the Suzuki Gixxer and the Honda CB Hornet 160R too offer single-channel ABS. 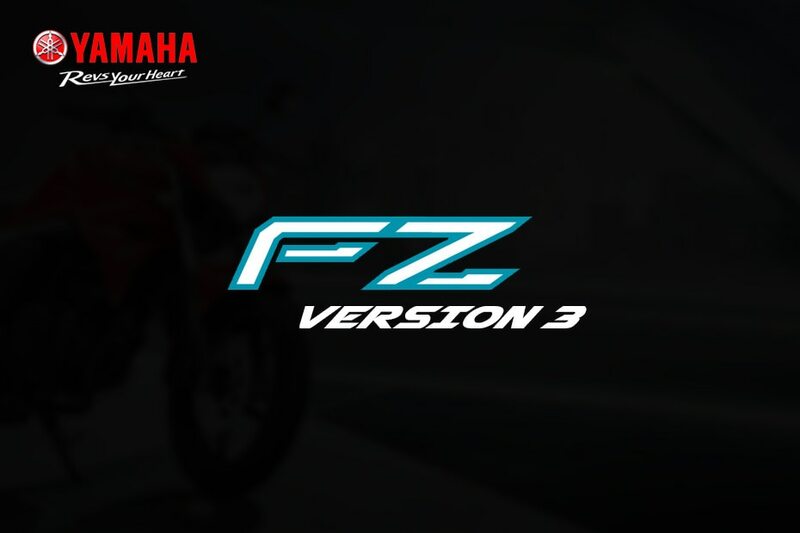 All the aforementioned changes are expected to increase the 2019 Yamaha FZ Version 3.0’s price by roughly Rs 10,000 over the existing model. When launched, the bike will lock horns with the Suzuki Gixxer, the Honda CB Hornet 160R, the Bajaj Pulsar NS 160 and the TVS Apache RTR 160 4V.